At the time of Cook’s arrival (1778,) the Hawaiian Islands were divided into four kingdoms: (1) the island of Hawaiʻi under the rule of Kalaniʻōpuʻu, who also had possession of the Hāna district of east Maui; (2) Maui (except the Hāna district,) Molokaʻi, Lānaʻi and Kahoʻolawe, ruled by Kahekili; (3) Oʻahu, under the rule of Kahahana; and at (4) Kauaʻi and Niʻihau, Kamakahelei was ruler. Kahekili and his eldest son and heir-apparent, Kalanikūpule, conquered Kahahana, adding Oʻahu under his control. 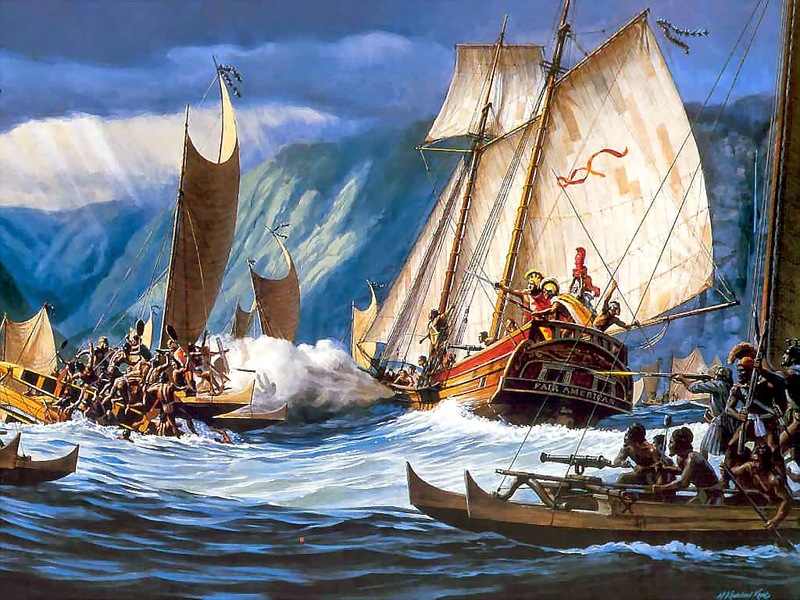 And, in the late-1780s into 1790, Kamehameha conquered the Island of Hawai‘i and was pursuing conquest of Maui and eventually sought to conquer the rest of the archipelago. Kalauao Ahupua‘a (the multitude of clouds) extends from the East Loch of Pearl Harbor to the crest of the Koʻolau Range, generally following Kalauao Stream. Kalauao Spring is located near the Pearl Harbor coast. The Kalauao Spring included two natural springs of percolating water. In ancient times, the springs irrigated taro loʻi. 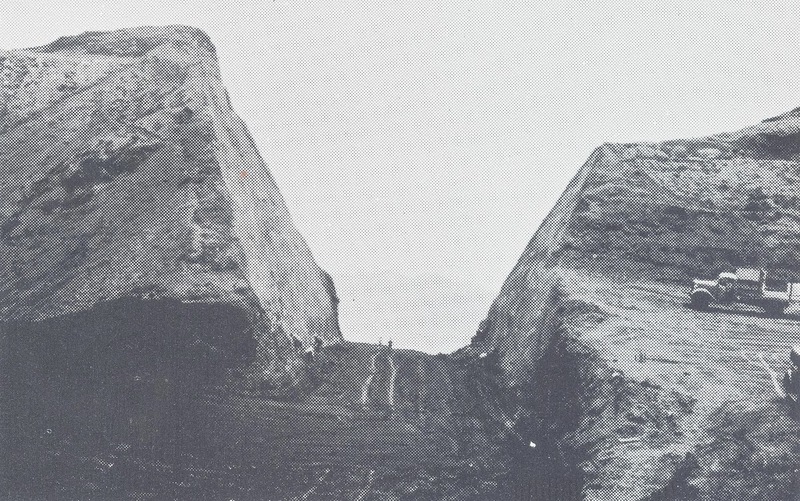 Later, the ancient taro lo‘i and ʻauwai (irrigation ditches) were modified and expanded to support rice cultivation. During the Māhele, much of the lands in the ahupua‘a of ‘Ewa, as in other districts, were awarded to Ali‘i Nui (high chiefs), who were either the grandchildren or great-grandchildren of Kamehameha I. Half of the ahupua‘a of Kalauao was awarded to Laura Konia (either granddaughter or grandniece of Kamehameha I;) the other half of Kalauao Ahupua‘a was awarded to John Meek, an important merchant in the sandalwood trade. Today, the Pearl Country Club covers much of the lower section of Kalauao. Pearlridge Shopping Center is on the lowest side of Kalauao (Pearlridge Uptown was opened in 1972, with an expansion in 1976 to include Pearlridge Downtown.) 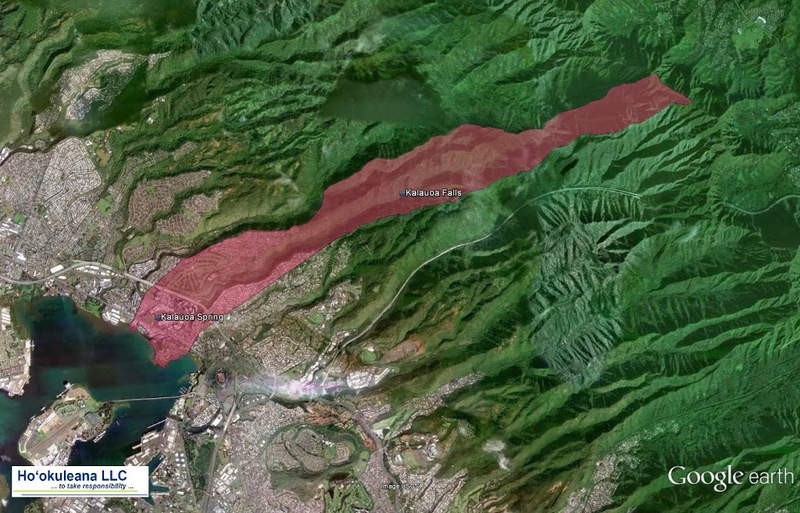 Pearlridge surrounds the evidence of the water resources of old, Kalauao Spring that now benefits the Sumida watercress farm. 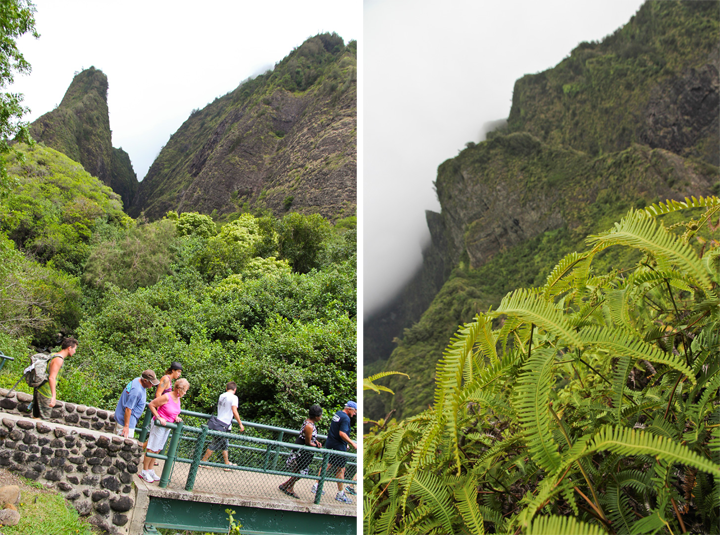 The image shows the Kalauao ahupuaʻa (with the Kalauao Falls and Spring noted.) In addition, I have added other images in a folder of like name in the Photos section on my Facebook and Google+ pages.